I have been very diligent in recent months not allowing myself to buy any new products until I have finished up some of my older ones. Foundations are my weakness and I am a devil for buying new ones and not finishing old ones. I have managed to finish two foundations within the last two months which is good, but I loved them both so much I want to repurchase the pair of them. Whoops. I adore this foundation. It is one of my favourites which is strange considering I have dry skin. Usually I have to steer clear of compacts. I just had a brief look through my old posts and can't believe I have never reviewed this foundation. Yes, it has featured in my favourites on many occasions but it doesn't have its own review. I must rectify this. I recently had this foundation in my hand in Boots ready to repurchase but sadly the price tag put me off! It is €20.00 in Ireland! I feel that is way too expensive for a drug store foundation. I also tend to use this product up very fast so I don't feel I get value for money. However, I will purchase it again and will post a review but I think I will keep it in my handbag and use it for touch ups rather than as my everyday foundation. This regularly features in my empties. I use it every time I blow dry my hair and I swear by it. Review here. I have two bottles of it on the go. One in my Dublin house and one at home. Heaven forbid I ever be without this product. It helps me achieve a salon blow dry every time I dry my hair. Another positive with this product is the it often features on the 3 for 2 offers in Boots. One of my secrets is that I never use regular conditioner I always use a hair mask. The reason for this is that I only wash my hair 2/3 times a week and it is fairly thick. I find a mask to be much more nourishing. I picked up this masque in TKmax because it was €30.00 for 500mls. To be honest I wouldn't repurchase it as I am not sure if it has benefited my hair. 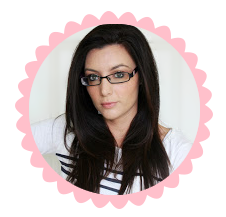 It leaves my hair tangle free and silky but I have been using it for a year now and on my last two trips to the hairdressers I have needed to get a lot more chopped off than usual as the ends are very damaged. I am not totally sure whether this is due to me blow drying my hair and using a GHD or the conditioner isnt as effective as my previous ones. I am going to revert back to my trusty Kerastase and see if I notice a difference. This product has entered into holy grail territory for me. I am already on my second tube. I have a review here if you would like to read more about it. I purchased this product at the same time I picked up Hydraluron on the recommendation from Caroline Hirons. I am also on my second bottle of this. I use to suffer with flaky skin and when I applied my foundation it only accentuated the problem. Since using this the problem has been completely eliminated. Originally I was using this toner twice a day but as I didn't find any difference between using it once or twice a day, I now only use it in the mornings. I have a love/hate relationship with dry shampoos. I honestly could not live without them. On many occasion they have been my saviour but I also hate the way they make my hair and scalp feel. Out of all of the dry shampoos I have tried this one is the top of my list. It does make my scalp dry but not to the same extent as other brands. My favourite thing about this product is the smell, it doesn't have a clawy scent that I usually associate with dry shampoos. I picked up this foundation a while ago and somehow it got lost amongst my makeup and I never reached for it. In December I was on a mission to finish up the majority of the foundations I had lying around. This foundation is slightly dark for me at the moment considering I am nearly see thru I am so pale. However I love the finish it gives, I also find it very long lasting. I will definitely be repurachasing this. It has to be said I am a major Soap & Glory fan. I don't think I have any negative comments from all the products I have tried in the range so far. This body scrub has lived up my high expectations. I enjoy rough body scrub as I feel my skin has been thoroughly exfoliated. This exfoliator has a slightly oily feel to it which I love, it always makes my skin feel super nourished. As with all Soap and Glory products it has their lovely signature scent which lingers after the shower. I am indifferent about this deodorant. I picked it up as it was on offer. It does the job and smells lovely. My Mum actually adores the smell she always asks what perfume it is after I spray it. However, I think I will revert back to my regular Dove original deodorant rather than repurchase this one. 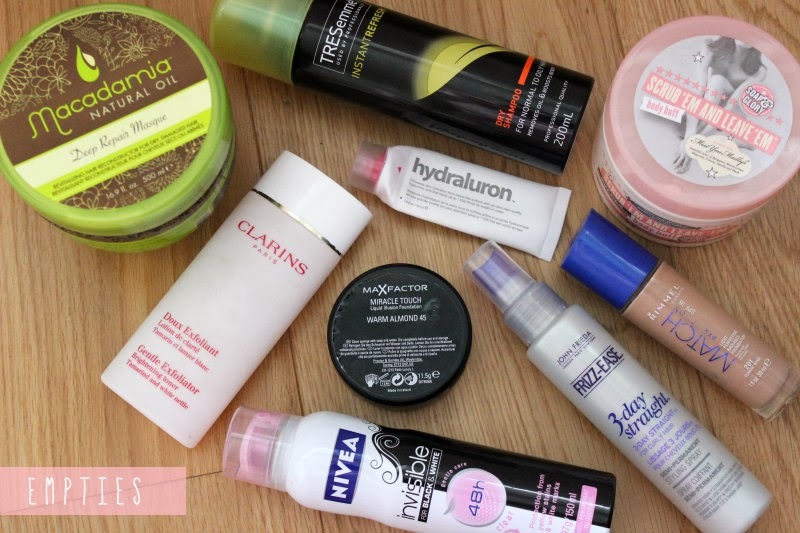 What products have you used up lately that you will repurchase?